Any honest pay per click management firm will tell you that PPC campaigns can either be home runs, or they can become a serious waste of money. It’s all in the details, and the correct creation, management and analysis of campaigns throughout every step of the process. 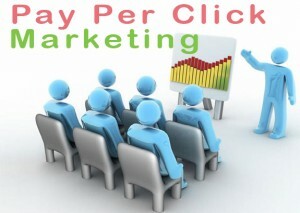 There’s a great deal of research, analysis and testing which goes into proper pay per click consulting and management. It’s not just throwing a quickly written advertisement based on the most highly recommended Google Adwords keywords, setting a bid, and calling it a day. That’s why so many small businesses become turned off to the idea. They aren’t seasoned pay per click managers, nor do they have the time necessary to truly dive into the efforts, and in turn, they spend too much money for poor results. Unfortunately, for many businesses, it becomes a rather costly headache. A successful pay per click management firm will carefully and thoroughly match each and every ad with the best keywords, along with the best demographic and geographic targeting factors, and will craft highly tailored advertisements. Further, these ads need to correspond with the correct landing pages on your website, in order to maximize every visitor, and improve conversion rates. All of these factors have to work with one another, and it’s an ongoing process which must continue to evolve. When the correct formula encompassing all of these factors is put together, the results will speak for themselves. Ultimately, when you hire us as your Washington D.C. pay per click management firm, that’s what we’ll able to do for you. We’ll guide you through the entire process, whether you need pay per click managers to create new campaigns from scratch, or to improve the results you’re currently experiencing. From landing page creation and optimization to keyword research and selection, bidding strategies and management, and ad copywriting, we’re a full service pay per click advertising company that can handle it all at a reasonable price. If you’re looking for an affordable pay per click management firm in Washington DC, then be sure to fill out our quick contact form on the sidebar to get in touch with us today. As your new Maryland or Washington D.C. pay per click agency, we’ll find you new customers, keep your costs down, and produce quantifiable results.